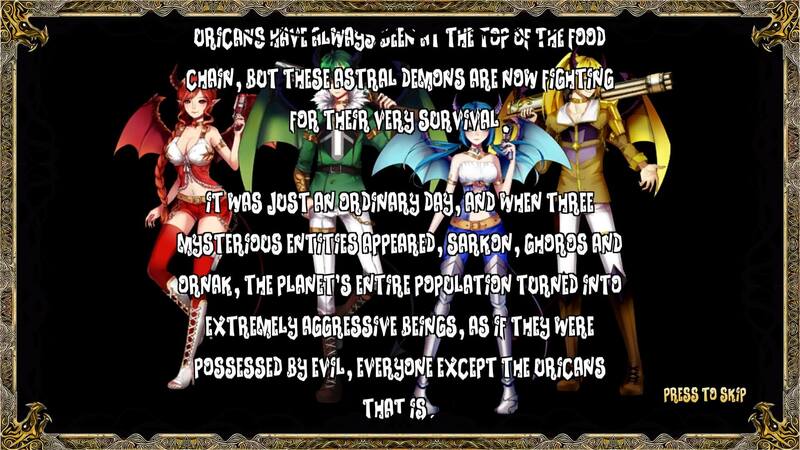 While considering how I was going to review the new indie twin-stick shooter, Demon’s Crystals, I came upon a impasse surrounding an existential question. Does anything we experience start out as perfect (it’s Platonic Ideal) and we degrade it from there? Or does everything start at the void and it is built up to be as good as it can be? I personally went down the rabbit hole a bit about considering the philosophical implications of either possibility, but in practical terms there is a reason why this game made me consider this. This game is technically very well made, there were no bugs and everything is serviceable. The only really specific complaints I could make about the game are that it’s rather boring and uninspired and that it doesn’t look very pretty. But all those are very subjective criticisms and unless they were trying to advertise the game as something it’s not, do not go a long way towards making it a genuinely bad product. But it wouldn’t be accurate to place a very high score on a game like this either, so I had to come up with a way to just take it for what it is and manage expectations at the same time. So let me go about this by explaining what the game actually is. There are 3 primary modes and several sub-modes within multiplayer. 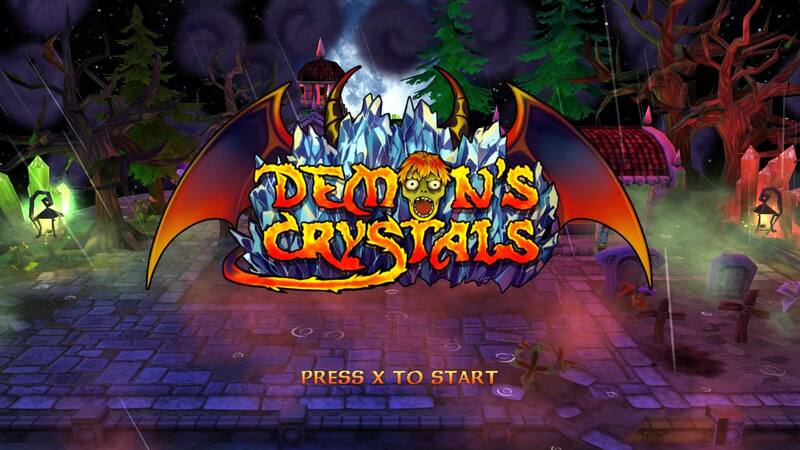 Demon’s Crystals is an isometric twin-stick shooter that uses a gothic atmosphere and strongly relies on couch co-op play. That is pretty much all the back of the box quote needs to say about this game. 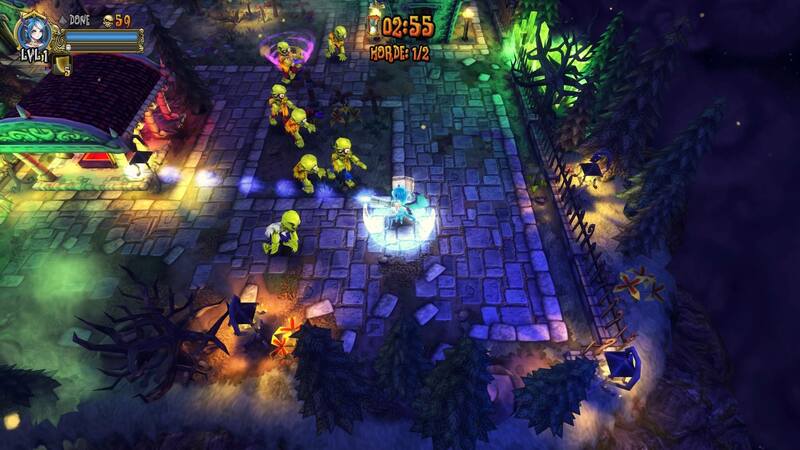 There are 3 modes in the game; arcade, multiplayer, and survival. In arcade mode you have a very rough outline for a story, but none of the 4 characters really has any personality or story of their own. 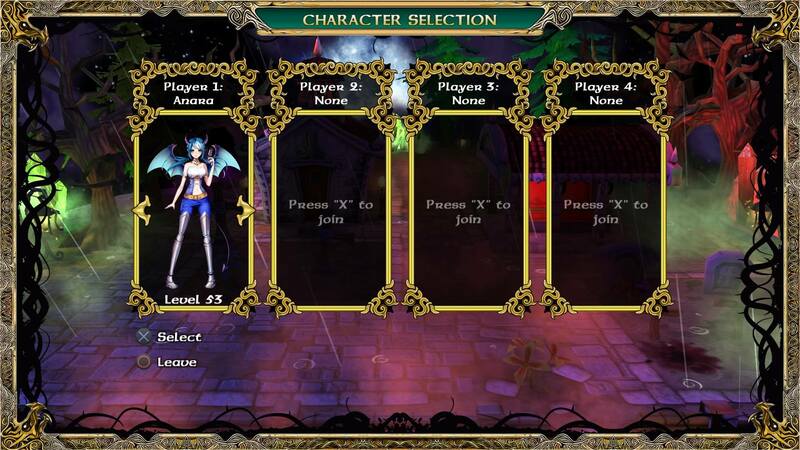 You can play arcade mode with 1-4 characters and each stage has 3 difficulty levels. The major changes in difficulty are the time limits getting shorter and placing a strict character level limit for each stage (so you can’t just power level your characters through the stage). There are 3 worlds and 9 levels in each world and then a boss level at the end. Each of the maps in the world look very similar but they have slight changes to them that can feature different traps and a change in configuration for buildings and features. Honestly there was not enough variety in the stages to make a strong difference and they all blended together, other than the 3 bosses. There is a very simple scroll screen giving some story at the start of Arcade Mode. The best part of arcade mode for me was that your character’s levels were maintained throughout, so that any time I wanted to go back to that character they would be at their upgraded power. Unfortunately, that only mattered for Normal difficulty level (Hard and Nightmare required a certain character level), and there was not a huge change in power level for the characters. Also, other than the color of the characters, there was really not any difference in the way they behaved or controlled and there was almost no personality to them on the screen. Really it just comes down to which color you like the most, and just stick with that one to raise the character up to Level 99. This game is definitely meant to be played co-op though, not single player. While I was able to power through in single player, it did require a lot of trial and error and some grinding even on Normal difficulty. I did power on my 2nd controller to see if the enemies scaled, and I couldn’t see any scaling. So in practice it is much harder to play this game single player, although you will gain levels faster due to more personal kills. She’s cute, too bad I still know absolutely nothing about her. Both arcade mode and multiplayer mode rely heavily on co-op, but the only option available is couch co-op, there is no online functionality. As such, this is made for an increasingly niche audience, as not many people take the time for couch co-op any more. But if you are a kid or teen living with siblings or have friends over frequently, perhaps a couch co-op arcade style game is just what you wanted. Multiplayer does have several different modes that can either feature you working with each other or against each other on relatively simple arena maps. I wasn’t able to really mess around with it much, since I live a solitary existence. But testing them out showed that the modes work fine, if rather uninspired and simple. The graphics are not great, but the aesthetic is interesting. That’s pretty much all there is to the game, it’s a really simple premise and product. There are various shot types in each stage and a few scattered upgrades such as shields and health. Each of the upgrades have a very limited time, but thankfully you can see them count down next to your character portrait. 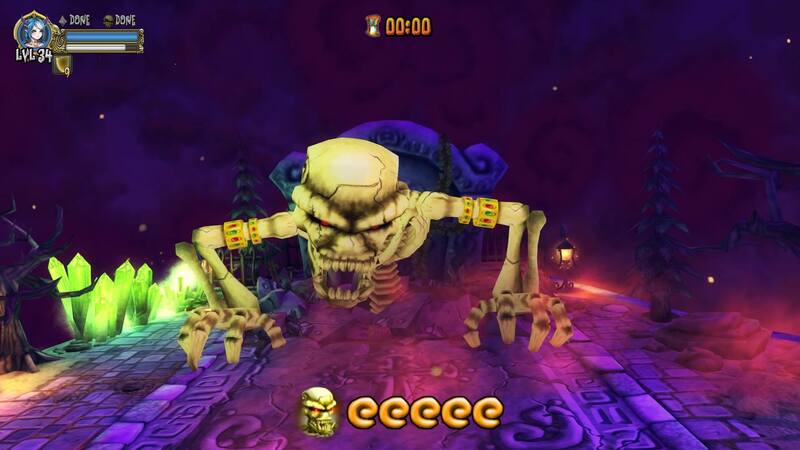 Each stage in the Arcade Mode has 1-3 phases, and each phase requires you to kill a certain number of monsters or collect so many crystals or a combination of both. In Survival Mode there are no phases, you just have to kill as many monsters and collect as many crystals as you can, after that you are ranked on an online scoreboard. The bosses weren’t anything fantastic, but they did break up the monotony. And that’s really all there is to say about the game. The developers had a very simple idea of what they wanted to make and this is the product. That’s not necessarily a bad thing, but you should just manage your expectations about anything involving story or character or variety. There might be more than 1 song in the game, but I wouldn’t be able to tell you how many because all of the music sounded exactly the same. The monster variety was okay, but was mostly just palette swaps. Possibly the best thing about the game was the weapon upgrade varieties, but it was no more than any standard twin-stick shooter. But, the good thing is the developers and publishers know that this is a very simple game and they priced it accordingly at $4.99. For that price, if you have someone you want to just play some fun couch co-op with, this might be the perfect product for you. 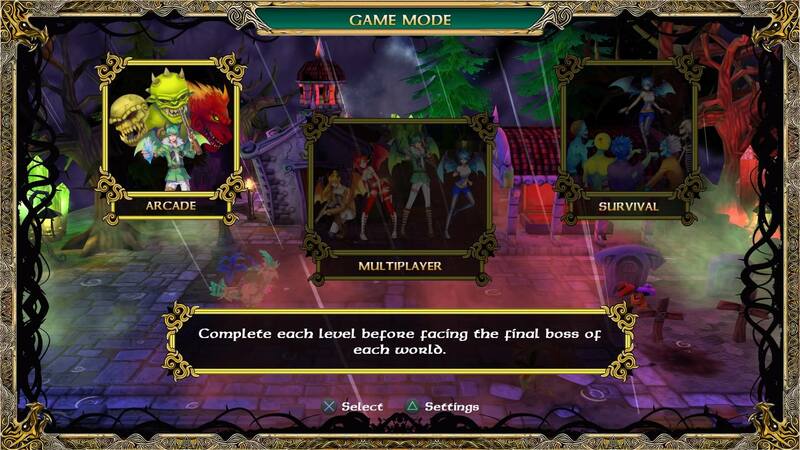 In single player you could spend about 3 hours (depending on your level of success) getting through the Arcade Mode, but it would be much quicker Multiplayer. It’s not a perfect game, and it’s not a great game, but it can be mindless fun. But if you are only going to play single player, I cannot really recommend this one even at that low price. So to answer my existential quandary at the beginning, I just had to tackle it with a little bit of both. There is not much wrong with a game like this, it’s technically sound. But there is also absolutely nothing memorable about it, so I come down right in the center.